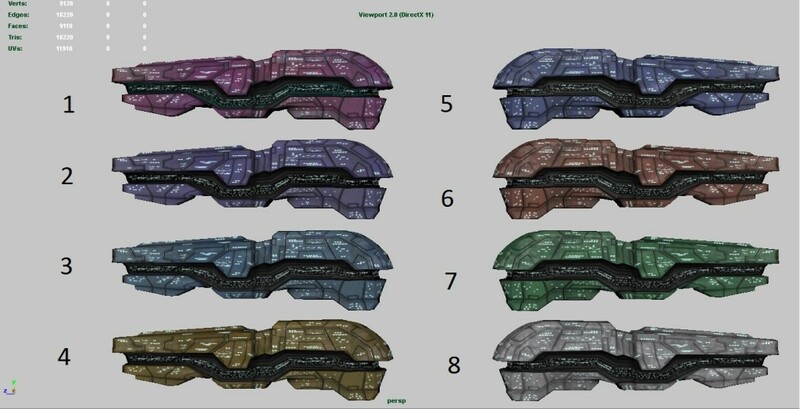 What are the colors of YOUR star fleet? You will see a lot of color in Takamo Universe. Beautiful planets, blazing stars and colorful space ships. But wait! Not all of that color will be determined by the Takamo Universe team. As the leader of your empire, you will decide the color scheme of your starships. They can be anything from dazzling white to sleek black and every color in between. Your star ships will be uniquely yours both inside and out. The picture below illustrates just a few of the many colors available to players in Takamo Universe.